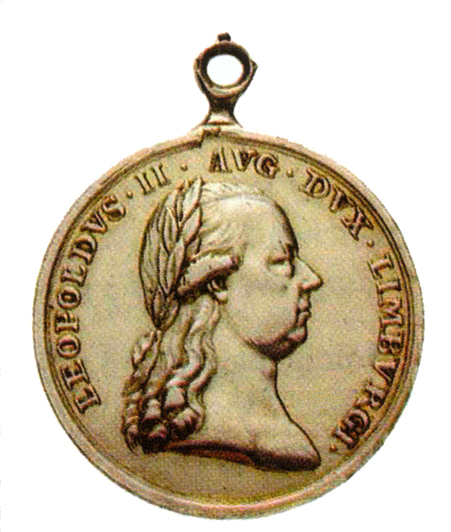 Figure 1: Gold Commemoration Medal for the Volunteers of the Provence of Limburg, Obverse. Image from the Author’s archive. 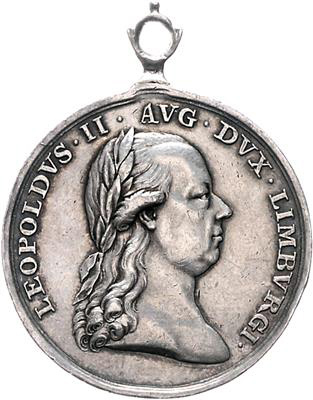 The commemoration medals for the volunteers of the province of Limburg were issued between 1790 and 1793 to honor those volunteers from the Austrian Netherlands/Belgium province of Limburg who responded to the call to arms and who performed acts of heroism or who provided exceptionally meritorious service. Figure 2: Gold Commemoration Medal for the Volunteers of the Provence of Limburg, Obverse. Image from the Author’s archive. 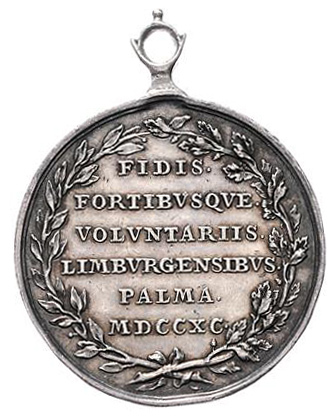 Figure 3: Silver Commemoration Medal for the Volunteers of the Provence of Limburg, Obverse. Image from Pinterest. Figure 4: Gold Commemoration Medal for the Volunteers of the Provence of Limburg, Reverse. 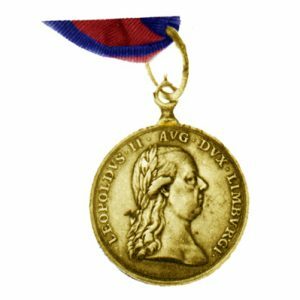 Image from the Author’s archive. Figure 5: Silver Commemoration Medal for the Volunteers of the Provence of Limburg, Reverse. Image from Pinterest. 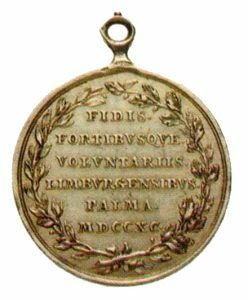 Figure 6: Commemoration Medal for the Volunteers of the Provence of Limburg, ribbon. Image from the author’s archive.